Timgineer.com: Where in the World were Laura & Tim? Where in the World were Laura & Tim? Along the road, we stopped in a little town (with a hard name) to feed and change a grinning Peter. 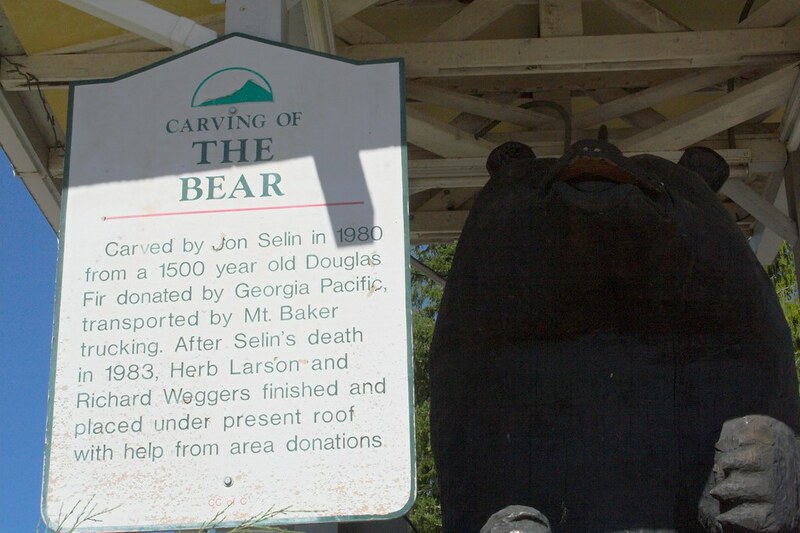 We parked on the main drag near a giant wooden bear and "The Historic TP Inn". While the mountain money is likely well stocked at this inn, TP in this case, stands for Thuja Plicata and means Red Cedar. TP may also stand for "Types Poorly" because they advertise "Dailey Specials".